A lovely B&B surrounded by the Tuscan countryside just 8 km from Pisa...live authentic Tuscany at Il Giardino della Pieve. 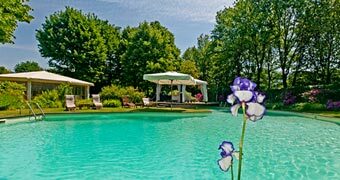 Stay at Locanda L'Elisa, just outside the walls of Lucca, and enjoy an unforgettable holiday experiencing the cuisine, beaches and art cities of Tuscany! 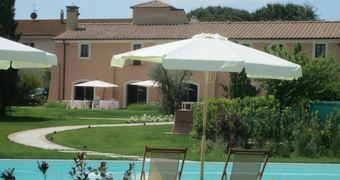 A convent, a hospital, a country house and, finally, a hotel in the heart of Tuscany: Le Colombaie Country Resort! A journey from Prato to Pisa, visiting towns filled to the brim with unique works of art and architecture. Since ancient times Pisa has been a flourishing city; a Maritime colony in the Roman period known for its conquests, to become one of the four Maritime Republics of Italy; powerful during the Middle Ages under the rule of the Medici who invested Pisa with the splendid architecture which survives in all its glory to this very day. The most prevailing image is that of Piazza dei Miracoli where it is possible to admire not only the Baptistery, but also the Cathedral, the Walls of the Monumental Cemetery and the Leaning Tower, the latter a unique artistic treasure which has become an icon throughout the world. 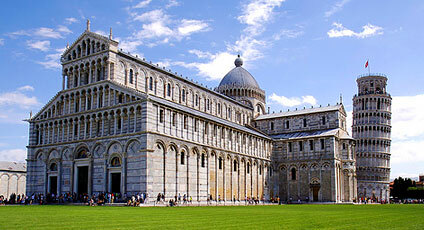 Pisa has many more treasures worthy of note such as the numerous churches, the Porta di St Maria, the Museum of the Sinopie, the Cathedral Museum, the National Museum of St Matteo, Piazza della Sapienza, and the Botanical Gardens. The popular traditions of Pisa testify to the city's ancient and glorious past and promise to leave the visitor with lasting memories. Supervising the Maremmana cattle, a cavalry of skilled horsemen armed with distinctive 'mazzarella'.